31/07/2015 – WCA & COTA-DL pedition of DL1JKK to Castle Schoenberg! – Karl DL1JKK will be active on the 31rd of July from Castle Schoenberg, WCA: DL-01271, COTA-DL: SAX-165. He plans to work on 40 and 20 meters beginning from 6 UTC. QSL via Home Call, bureau or direct. 73 & 11! [tnx info DL1JKK]. 29/07/2015 – New members of WCAG! #149, SP5PDA Amateur Radio Club – Anode. 26/07/2015 – Photoreport about activity LY3IV/P from Medininkai Castle! 26/07/2015 – At present time in WCA E-Log were uploaded 2.000.000 QSO of expeditions from castles and fortresses of the world! At present time in WCA E-Log were uploaded 2.000.000 QSO of expeditions from castles and fortresses of the world. We achieved essential stage in award program development – the first award was issued with the help of WCA E-Log. Our congratulations and gratitude to author and manager of WCA E-Log Jiri Suchy OK5NN for his GREAT WORK. Thanks a lot to all participants of expeditions. 26/07/2015 – WCA & COTA-DL pedition of DARC-OV C15 Team to Castle Burghausen! – Operators of DARC-OV C15 Team will be active on the 26th of July between 7 and 9 UTC from Castle Burghausen, WCA: DL-03890, COTA-DL: OBB-055. They plan to work on 40, 30 and 20 meters by CW and SSB and on 17 meters by PSK. Operators are PD0ILD, DG7MEJ, DL7MFD, DM5CQ, DL4MGR, DL9MDI. QSL via Home Call, bureau or direct. 73 &amp; 11! [tnx info DF6EX]. 25/07/2015 – WCA & UCFA pedition of UR4NWW team to Bakota Monastery! – UR4NWW team (including Vladimir UR5NBC, Maria US5NMM and others) plan to activate on the 25th and 26th of July Bakota Monastery, WCA: UR-00240 (New one! ), UCFA: HM-012 (New one! ), URDA: HM-10. They plan to work as UR4NWW/p and Home Calls/p on 40, 20, 15 and 10 meters by SSB and CW. Power is 15 W (accumulator power source), antennas are dipole type. QSL via UR4NWW eQSL.cc. 73 & 11! [tnx info UR5NBC]. 25/07/2015 – WCA pedition of LZ0I to Fortress Sveti Ivan! – Boyan LZ1BJ, Boyko LZ1QN, Dechko LZ1QV, Gosho LZ1ZF, Boris LZ2JR, Plamen LZ3BB and Nasko LZ3YY will be active on the 25th and 26th of July 2015 and participate in IOTA contest from Fortress Sveti Ivan, WCA: LZ-00164 located on Sveti Ivan Island, IOTA: EU-181, WLOTA: LH-0121, ARLHS: BUL-022, WW Loc. KN32uk. They plan to work as LZ0I on all bands. QSL via bureau or direct to LZ1BJ. 73 & 11! [tnx info LZ1BJ]. 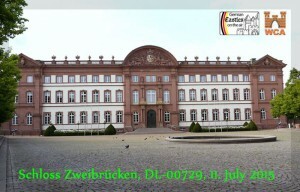 18/07/2015 – WCA & COTA-DL pedition of DL1SWB/P to Prinzenpalais Ludwigslust and Schloss Ludwigslust! – Dieter DL1SWB will be active on the 18th of July from Prinzenpalais Ludwigslust, WCA: DL-03364, COTA-DL: MVB-168 and Schloss Ludwigslust, WCA: DL-00236, COTA-DL: MVB-039. He plans to work as DL1SWB/P on 40 and 20 meters. QSL via Home Call, bureau or direct. 73 & 11! [tnx info DL1SWB]. 18/07/2015 – WCA & CISA pedition of YT2KID/P to Novi Pazar Castle and Stari Ras Fortress! – Dragan YT2KID will be active on the 18th of July 2015 from Novi Pazar Castle, WCA/CISA: YU-00047 and Stari Ras Fortress, WCA/CISA: YU-00049. He plans to work as YT2KID/P on 7.131, 14.251 and 18.131 KHz. QSL via bureau or direct. 73 & 11! [tnx info YT2KID]. 12/07/2015 – WCA & COTA-DL pedition of DH0KAA/P to Burg Clambek and Schloss Weissenhaus! – Ingo DH0KAA will be active from the 12th of July till the 24th of July 2015 from Burg Clambek, WCA: DL-04428, COTA-DL: SHB-032 located in Fehmarn Island, IOTA: EU-128 and Schloss Weissenhaus, WCA: DL-03951, COTA-DL: SHB-027 located in Holsteinische Schweiz, WWFF: DLFF-072. Also work from Dahmeshoeved Lighthouse, ARLHS: FED-069, GLHA-105, DE-0003. He plans to work as DH0KAA/P on 40 and 20 meters. QSL via Home Call, bureau or direct. 73 & 11! [tnx info DH0KAA]. 12/07/2015 – WCA & DCI pedition of IK3PQH/P to Caserma Pepe! 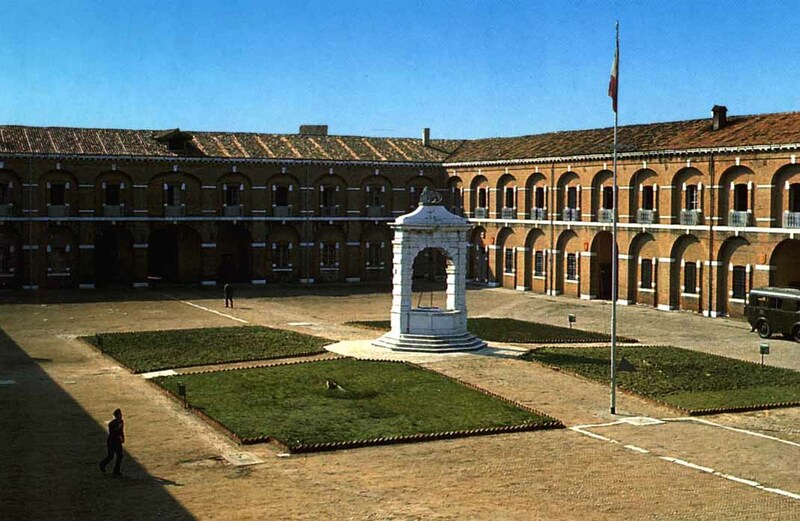 – Giorgio IK3PQH will be active on the 12th of July 2015 from Caserma Pepe, WCA: I-13202, DCI: VE-098. He plans to work as IK3PQH/P on all bands. QSL via Home Call, bureau or direct. 73 & 11! [tnx info IK3PQH]. 11/07/2015 – Charter WCA Vidovan Award by YT2KID! – For 5 contacts with YT2KID/P and YT3TPS/P made during June of 2015 will be issued special award “Charter WCA Vidovan”. Applications please send to Dragan YT2KID. 11/07/2015 – Photoreport about pedition DL/EA8BFH to Burgruine Leuchetenberg! 11/07/2015 – WCA & COTA-DL pedition of DK1IO/P to Schloss Petershagen! – Reinhard DK1IO will be active on the 11th of July 2015 from Schloss Petershagen, WCA: DL-03023, COTA-DL: WNB-048. He plans to work as DK1IO/P on 20 (PSK63) and 40 (CW/PSK63) meters. QSL via Home Call, bureau or direct. 73 & 11! [tnx info DK1IO]. 11/07/2015 – Photoreport about pedition of RA6ARI/P and RW6AON/P to Fortress on mount Petushok, WCA: UA-00327! 11/07/2015 – WCA & DCI pedition of IS0BRQ/P to Torre Sa Mora di San Vero Milis! – Look for Emiliano, IS0BRQ/p on 11th July to activate the Capo Mannu lighthouse (WAIL SA-032, ARLHS SAR-016, WLOTA 1608), located on the island of Sardinia (EU-024, IIA D001, MIA MIS-035). QRV on 40, 20 and 10 metres, mainly SSB, from 15:00-20:00 UTC. Activation of Torre Sa Mora di San Vero Milis (DCI OR-018, WCA I-06668) will also take place. QSL via home call, bureau preferred. 73 & 11! [tnx info ICPO]. 11/07/2015 – WCA pedition of CU5/CU3DX to Fortresses on the Sao Jorge Island! – Leo, CU3EJ once again will be active as CU5/CU3DX from the island of Sao Jorge (EU-175, DIP AZ-005, PIP AC-005, WLOTA 1004) on 11-12th July. Due to the IARU HF World Championship, 17m SSB will mostly be used. Leo will activate WCA, IDES and WWFF references. QSL CU5/CU3DX via CU3EJ, direct or bureau. 73 & 11! [tnx info ICPO]. 11/07/2015 – WCA & COTA-DL pedition of DA0WCA to Castle Unterwildenau! – Manfred DF6EX will be active on the 11th of July 2015 from Castle Unterwildenau, WCA: DL-04409, COTA-DL: BOB-111 located in WWFF: DLFF-093. He plans to work as DA0WCA (special DOK: WCA) on 40 and 20 meters CW/SSB from 07:00 UTC. QSL via bureau or direct. 73 & 11! [tnx info DF6EX]. 11/07/2015 – WCA & DCS pedition of HB9HI/P to Chateau de Reugemont! – Eric HB9IAB and operators of HB9HI team will be active on the 11th of July 2015 from Chateau de Rougemont, WCA: HB-00694, DCS: VD064 located in Park Gruyere Pays d’Enhaut, WWFF: HBFF-020, WW Loc. JN36ol. They plan to work as HB9HI/P on 40, 30 and 20 meters CW and SSB from 08:00 till 12:00 UTC. QSL via bureau or direct. 73 & 11! [tnx info HB9IAB]. 11/07/2015 – WCA & COTA-DL pedition of DL8EB from Castle of Zweibruecken! – On July 11, 2015 the „Day of Associations“ will take place in Zweibuecken. The DARC OV K12 will participate in this event and introduce the amazing amateur radio hobby to the public. Beside this event we plan to activate the Castle of Zweibruecken DL-00729 for the first time. We will QRV on the common WCA QRGs preferred on 40m and 20m band SSB between 8h and 14h UTC. For further information visit our website www.CQ-K12.de. QSL via bureau. 73 & 111 [tnx info DL8EB].